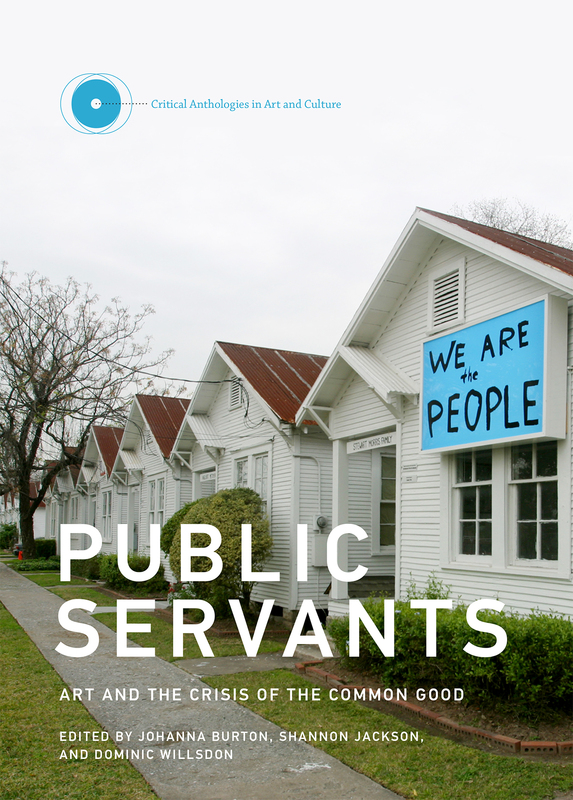 Public Servants: Art and the Crisis of the Common Good (2016) gathers essays, dialogues, and art projects—some previously published and some newly commissioned—to illuminate the ways in which the arts engage a rapidly changing social and governmental landscape. With contributions by Simone Leigh, Carrie Lambert-Beatty, Wendy Brown, Rosalyn Deutsche, Fred Moten and Stefano Harney, and Elizabeth A. Povinelli, among many others, this volume examines recent histories and debates around how art practices might operate as public service. Public Servants: Art and the Crisis of the Common Good.